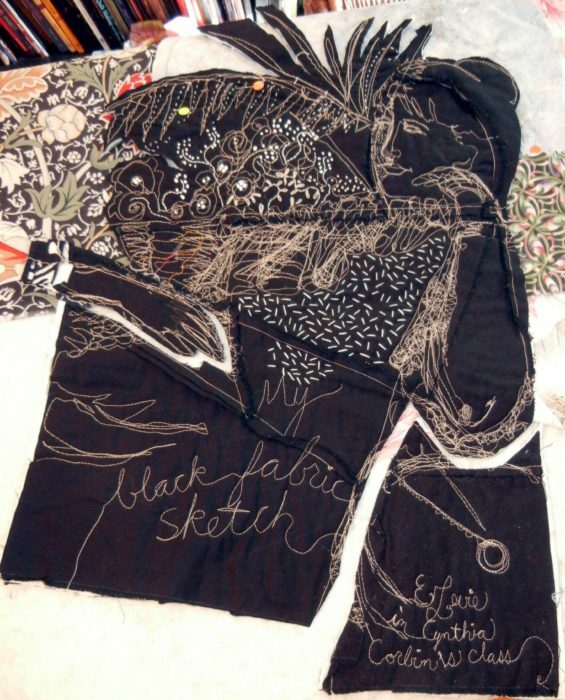 A class experiment at a Quilt Surface Design Symposium back in 2006: Cynthia Corbin assigned us to make and remake what she calls a black fabric sketch–a unique patchwork block from a sketch of lines. As happens in these intensive classes, I joined my classmates staying up quite late one night, making up a patchwork block in many different color and pattern iterations. Finally, I mutinied, and created the patchwork all in black fabric, and opted to show the side where the seam allowances are exposed. Soon after, I “sketched” on the piece, using tan thread to free-motion-stitch a figure. Years later, I embellished the “drawing” with embroidery. Another sample stuck away in a drawer—a paint-dabbled moon. And when the Studio Art Quilters Association announced a call for entry: From Dusk to Dawn, I decided to combine these UFO’s (unfinished objects) and rise to the challenge. 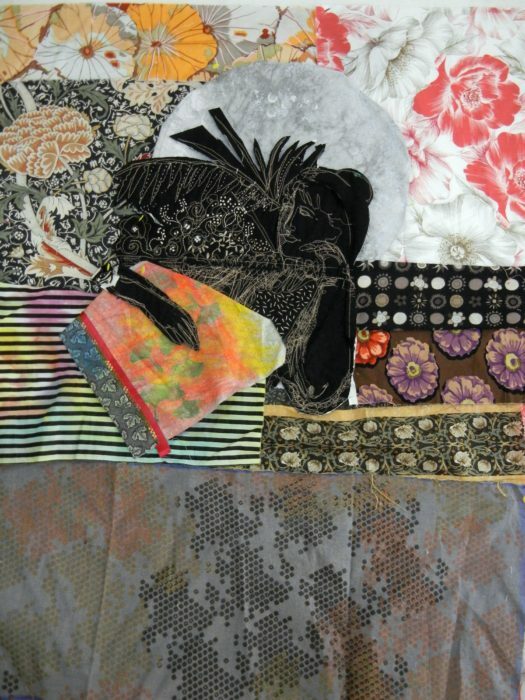 I slapped lots of different fabrics from my overflowing stash up on my design wall, trying for a pleasing, William Morris-style feeling. I kind of like what I came up with early on, and should have stopped there with a sketchy expression. But no, I kept auditioning other fabrics for backgrounds, and growing out the figure to complete it. I also tried miniature quilt projects under her hand, suggesting that she, too, was a quilter. 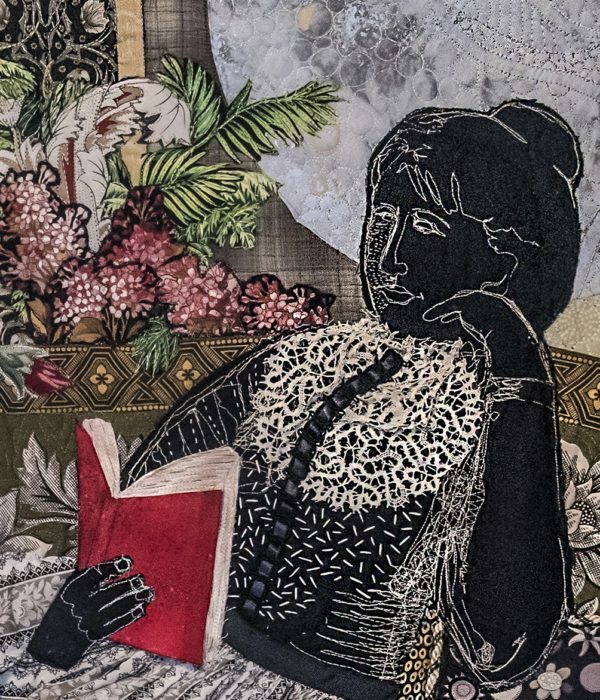 I found, however, that the quilting projects merely increased the cacophony of prints and negated the pensive mood I was after. So I ended up giving the figure a book instead. 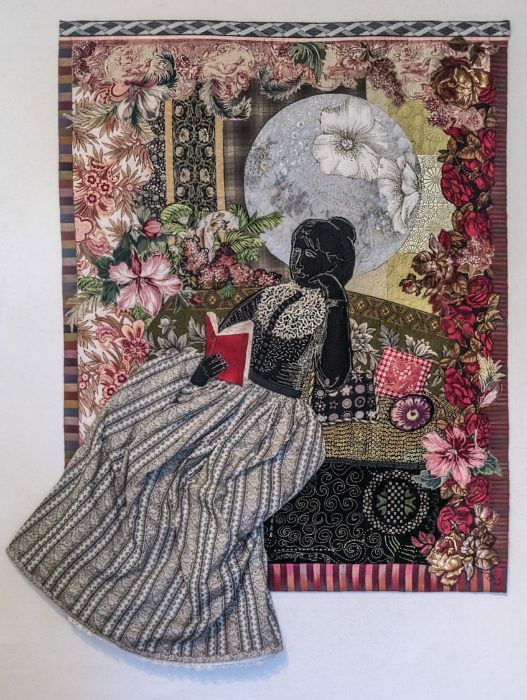 This allowed me to connect personally with the figure and the quilt, since I often stay up all hours of the night reading. I completed the piece with that pleasantly addictive, obsessive behavior in mind. 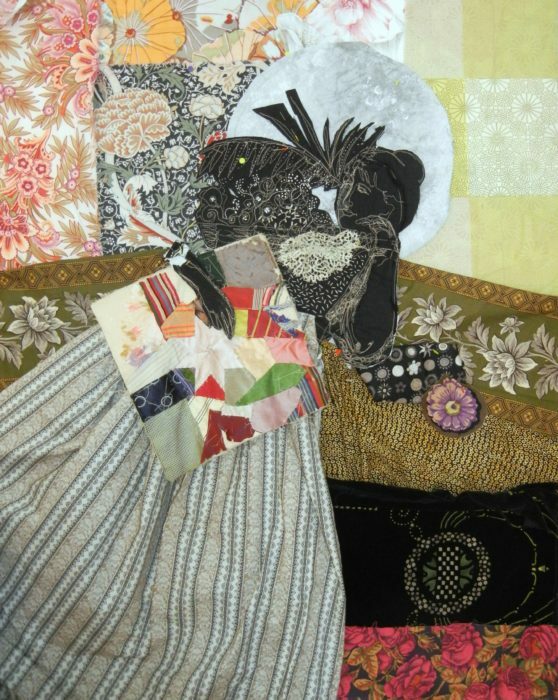 Just learned my art quilt did not make the cut for the SAQA exhibit From Dusk to Dawn. I never thought it would. It’s over-labored, tries to be too pretty and figurative, at a moment when the art world and the art quilt world savors abstract expression. I totally get it, because I know that small exhibits must be cohesive, creating a flow around the room. For me, a call for entry, particularly from SAQA, is often the kick in the behind I need to produce work, to hone my design skills and my technical skills, too. 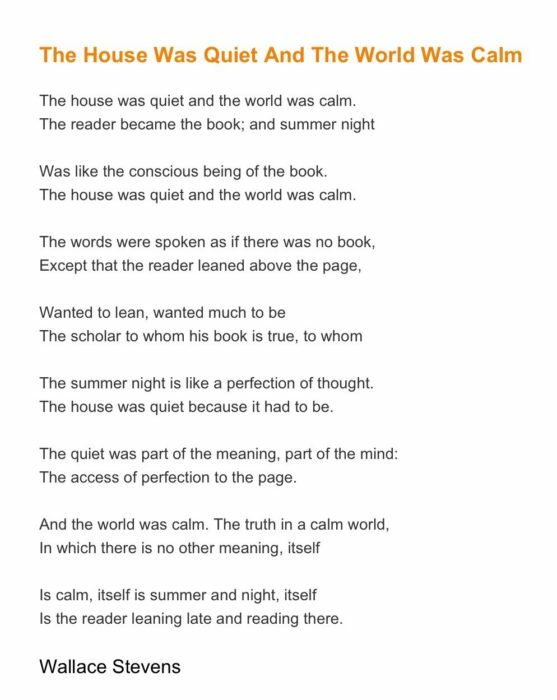 I am glad to have made this piece, to share it with any readers of my blog, and to put it away, not look at it for a while. I do look forward to seeing the pieces that have been accepted into this show should it come to my part of the country. Bet you will, too. 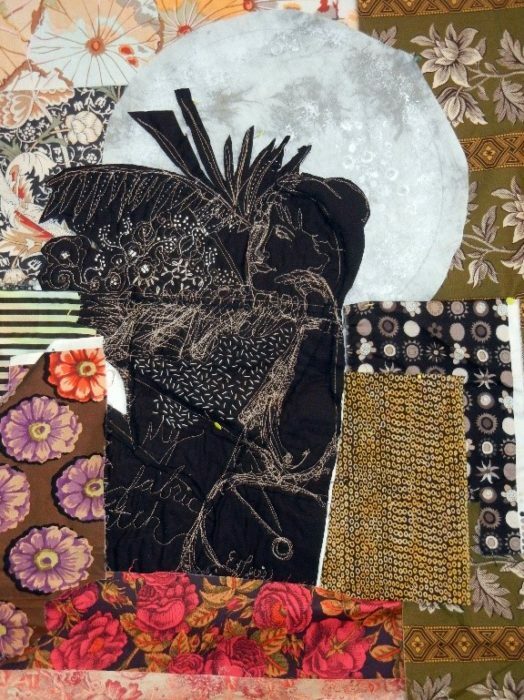 This entry was posted on Monday, February 26th, 2018 at 8:46 pm	and is filed under Antique & Vintage, Art + Quilt, Exhibitions, Fashion or Costume, Inspiration, The Moon. You can follow any responses to this entry through the RSS 2.0 feed. You can leave a response, or trackback from your own site. That is a masterpiece, period. I’ve never seen anything like it. It’s magnificent.